A reinvigorated Rose Tattoo is currently enjoying a massive tour of Europe, culminating in their appearance this week at Sweden Rock Festival, a festival which is presenting one of the greatest hard rock line ups ever. Backstreet Boys are officially a little bit country. The American pop group has won a country music award for Performance of the Year with Florida Georgia Line. Spandau Ballet have made a rapturous return to the stage introducing their new singer Ross William Wild at a very special club show at London's Subterania to prove that as the song goes they no longer 'find it hard to write the next line'. Singer Kelly Clarkson dropped significant weight by adapting her diet to treat an autoimmune disease and thyroid condition. 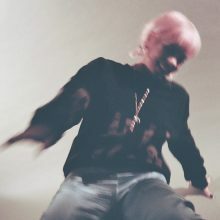 Lily Allen has racked up debts to the value of £1 million ($1.3 million). Kanye West has updated the lyrics to the opening song of his new album YE, a week after its release. British pop star Robbie Williams escaped a terrifying blaze at a London hotel on Wednesday (June 6). Singer Solange has teamed up with bosses at Swedish furniture store IKEA to launch a new design collaboration. 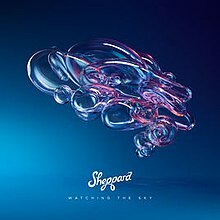 Major new titles coming this week from: Sheppard, Lily Allen, Lykke Li, Megadeth, The Bamboos, The Charlatans, Kanye West & Kid Cudi, The Beach Boys, Sugarland, Dierks Bentley and The Mavis's. Tony Joe White’s music is as primal as a lizard’s backbone. It echoes from the magnolia groves and bayous of his Louisiana childhood, and looms into the present every time he unleashes the molasses and tanned-leather combination of his guitar and voice. 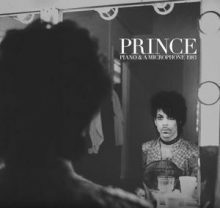 The Prince estate has announced never before released new music is coming in September and dropped a preview with the new song ‘Mary Don’t You Weep’. 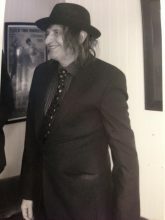 It was upsetting to see the news that Spencer P Jones has been told his cancer is inoperable considering the events of the past week in my own family following the passing of my wife Ros O'Gorman. Tasmanian alternative electronic duo, Sumner (Chloe Wilson & Jack McLaine) have won this year’s Josh Pyke Partnership. 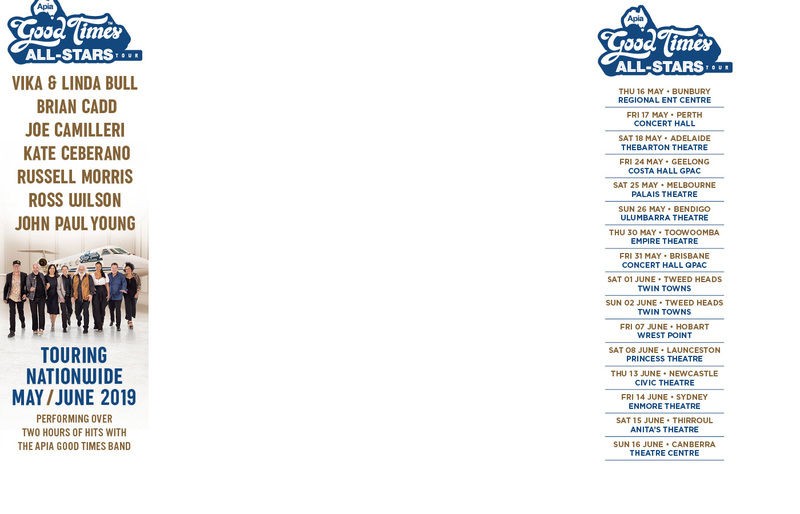 Made possible by Josh Pyke and APRA AMCOS the partnership aims to connect an unsigned musician with the exciting opportunity to receive mentorship and funding that will help to grow their career. The Boss is coming to the Tonys and he's performing live. 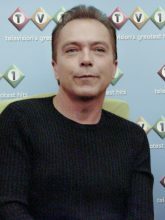 A&E Network will premiere the original Biography documentary special David Cassidy: The Last Session, which intertwines an intimate biography of the late David Cassidy as told through his own words in never-before-heard audio tapes from 1976 with a raw and poignantly filmed final recording session. The Rolling Stones turn back the clock, as they rock Southampton for the first time in over 50 years. Legendary Australian rock band INXS and Petrol Records have today announced that renowned music producer, composer and arranger, Giles Martin, is named as their Executive Music Director across a variety of ground-breaking future projects. Katy Perry's assistant saved the popstar's beloved dog Nugget when she became unresponsive recently. Dolly Parton's songs are to be turned into TV dramas for Netflix. In what will be one of the most anticipated and emotional performances of the upcoming Libera Awards at the PlayStation Theater in New York (June 21), legendary funk and soul band The Dap-Kings will take the stage for a tribute to soul greats Sharon Jones and Charles Bradley, featuring members of their bands, the Dap-Kings and the Extraordinaires. Two leading Australian musical acts are the first names to be confirmed for Rhythm & Alps 2018. The Kenny Wayne Shepherd Band may be coming to Australia in October with the focus on his current album Lay It On Down (released in August 2017) but he’s already got a follow up record well and truly in motion. ARIA (the Australian Recording Industry Association) is excited to announce that nominations for the second ARIA Music Teacher of the Year Award are now open. Melbourne’s status as the live music capital of the world is set to receive a boost with the announcement today that Chasers nightspot in Chapel St South Yarra will be hosting international and national live touring acts, stand-up comedy and cabaret under the live brand Three Eight Six. It took him 31 years to finally make the filing but Brendan Greaves, 45, has sued Diane Warren over the Chicago hit "Look Away". Mel B's ex-husband Stephen Belafonte has been denied a request for an emergency restraining order against the pop star. It’s only June and so far this year Paul Dempsey has already toured across Europe & the UK performing with David Bowie's band, performed at the Australian of The Year Awards in Canberra, completed a sold out east coast regional tour and Western Australian tour along with contributing a song to the Vast Project, had a song in the Hottest 100 and headlined one of Taronga Zoo's Twilight Concerts. Clarence Fountain, founding member and longtime leader of the iconic gospel group Blind Boys of Alabama died the morning of June 3rd in Baton Rouge, Louisiana. He was 88. The creators of an inspiring and energetic new stage show MADIBA The Musical – A Celebration of the Life of Nelson Mandela, are proud to announce the cast members for the show’s upcoming premiere Australian season.